SULLIVAN — Designs for the new Sumner Memorial High School building are taking shape. Last month, the Maine State Board of Education voted unanimously to approve the site plan for a new building. The site plan, related to the new school’s location, required approval because a section of the land being used had been purchased with money from the National Park Service. The Regional School Unit 24 (RSU 24) Board is now working on approving a concept plan for the building. 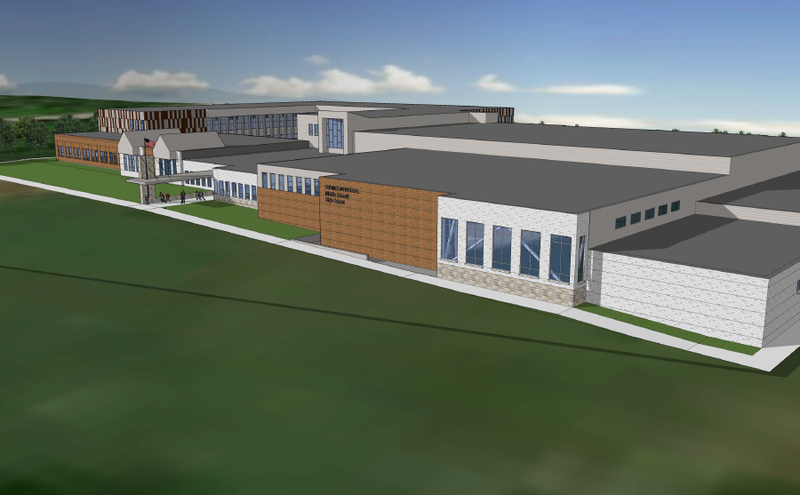 The new building will be a combined middle and high school, serving grades 6-12, thus increasing Sumner’s current population of around 250 students. The building will be situated adjacent to the current location of the school’s athletic fields. Portland-based PDT Architects, which has worked on several other Maine schools, is designing the building. Lyndon Keck of PDT Architects has presented preliminary exterior designs of the building to the RSU 24 Board, which will now give input and approve a final concept to present to the state. “We’re hopeful that we’ll have a public meeting in mid- to late March, and we’re going for a referendum vote in June to finalize everything,” Eastman said. Budgeting for the project will be split among the state, the RSU 24 tax base and private fundraising. At a Jan. 15 meeting, RSU 24 Board members worked to figure out what elements of the design fall into those three categories.